Our Pre folded American flag - Is Made in USA!! 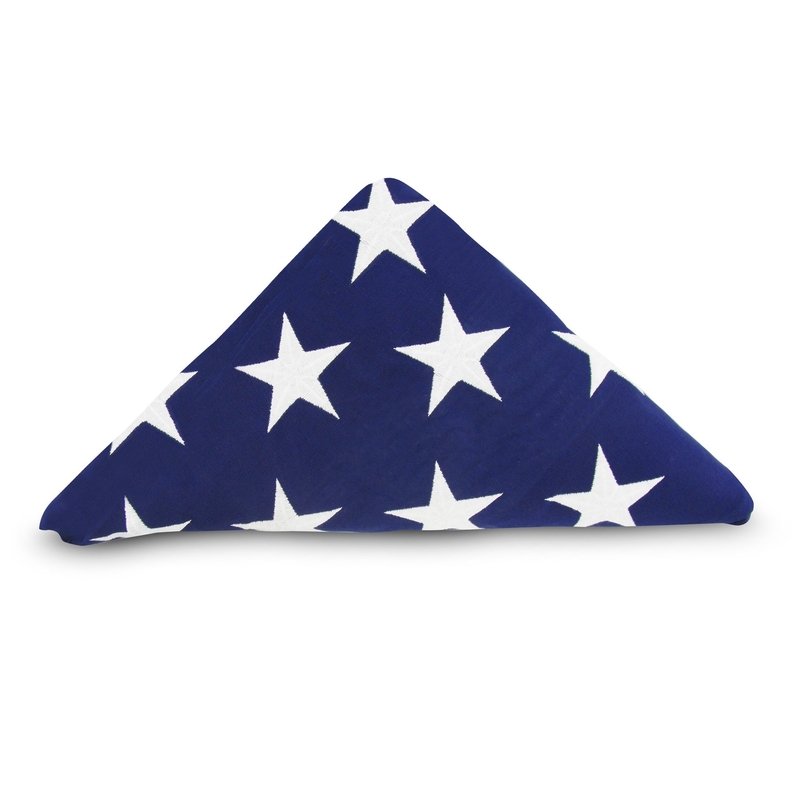 Our U.S. Interment Flags are made with embroidered stars, sewn stripes, brass grommets, and white headers. All of our flags are Made in the USA. 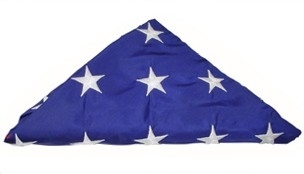 * Select X-Small Small Medium Large X-Large 2X-Large Fit 3' x 5' Flag Fit 4 ft X 6 ft Flag Fit 5'x8' Flag Fit 5' x 9.5'(Casket Flag) Fit 6 ft x 9 ft Flag Fit 8 ft X 12 ft Flag Fit 3' X 5' Flag Fit 4' X 6' Flag Fit 5' X 8' Flag Fit 5' X 9.5' Flag 8" X 12" Hemmed 12" x 18" Hemmed (3/8" x 30") 12" x 18" Hemmed (5/16" x 30") 3' X 5' Oak 4' X 6' Oak 9 Inches 12 Inches Hold 25 Coins Hold 30 Coins Hold 35 Coins (h) 25.5" x (w) 20"" x (D)1.5" (H)20" x (W)13" x (D) 1.5" (H) 26" x (W) 20 (D)1 9/16" (H) 30 3/4" x (W) 26" x (D) 2 13/16 " (H) 13 3/4" x (W) 17" x (D) 2" (H) 21 ¾”x (W) 17 ¾” X (D) 2" (H) 20”x (W) 18” X (D) 1.5"